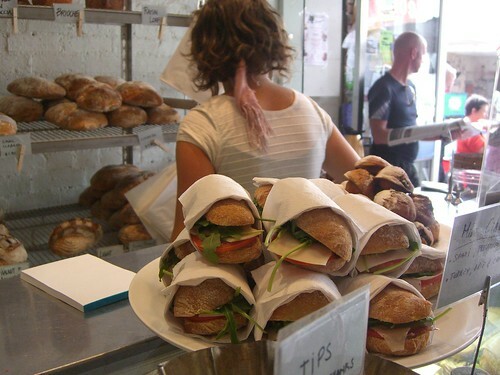 Filled Ciabatta and Mini Muffins – Dench Bakers, originally uploaded by avlxyz. Is at the lovely Dench in North Fitzroy! 8 drawings/prints are hung up there at the moment, I need a photo but they look loverly, all white framed on one wall with delicious breads on the other! And they sold out really quickly, which is exciting and inspiring as I was a little nervous that only my friends would buy! Yip yip.